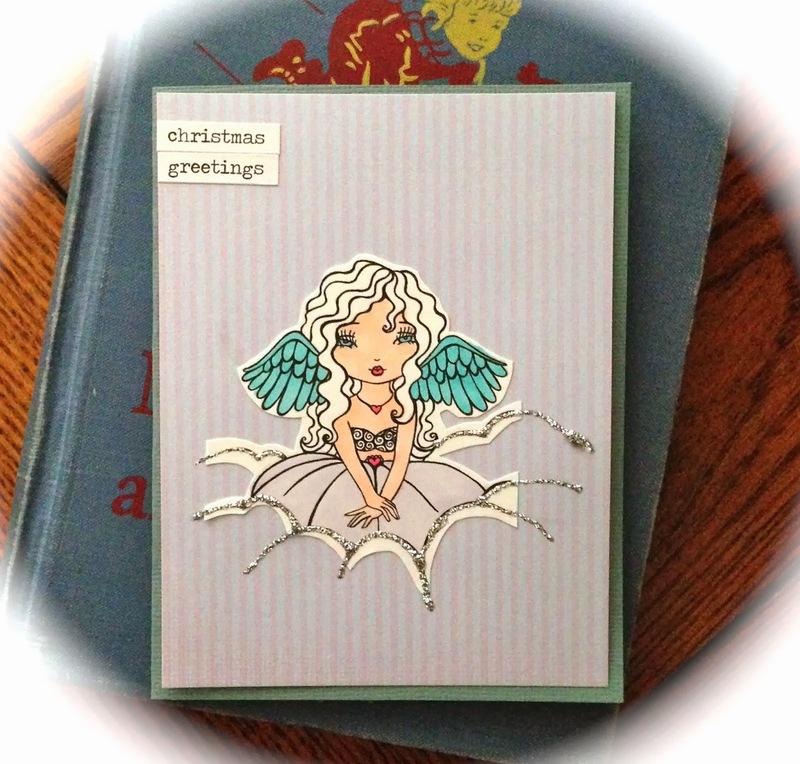 It's starting to look a little festive at Queen Kat Designs This is one of my all-time favorite stamps. There are so many great holiday stamps to choose from right now! This was stamped on white card stock and colored with Copic markers. I decided to fussy cut her and add glitter glue for the emphasis on the clouds. The sentiment, "Christmas Greetings" is from the Tim Holtz seasonal sentiments booklet. She was quick and fun to make.